Get a Glimpse of Life Under the Sea! 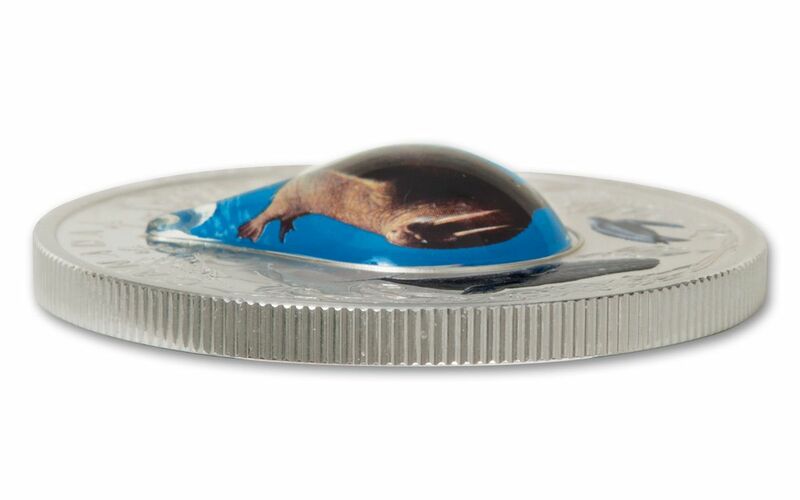 Grab your favorite snorkel and prepare to dive! 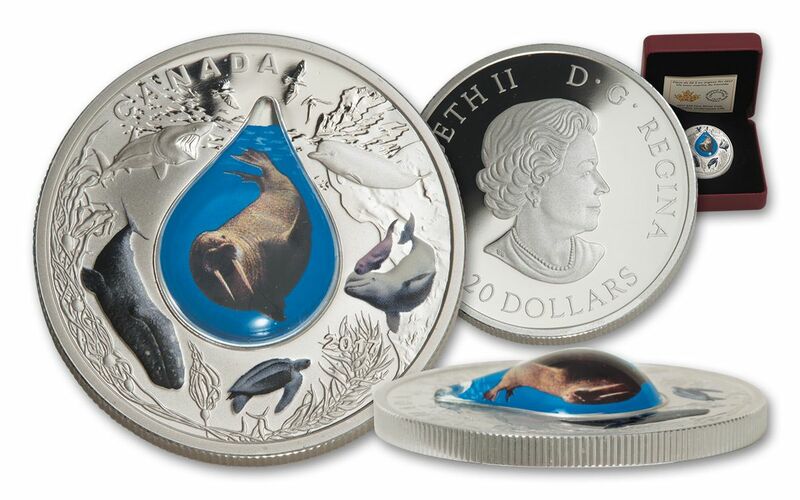 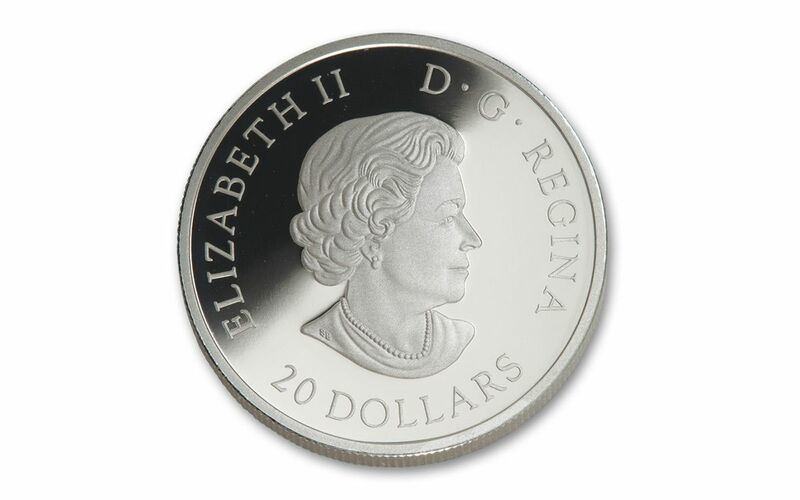 This $20 legal-tender proof features a three-dimensional water droplet right in the center of the reverse, providing a unique, spectacular view of an underwater walrus. 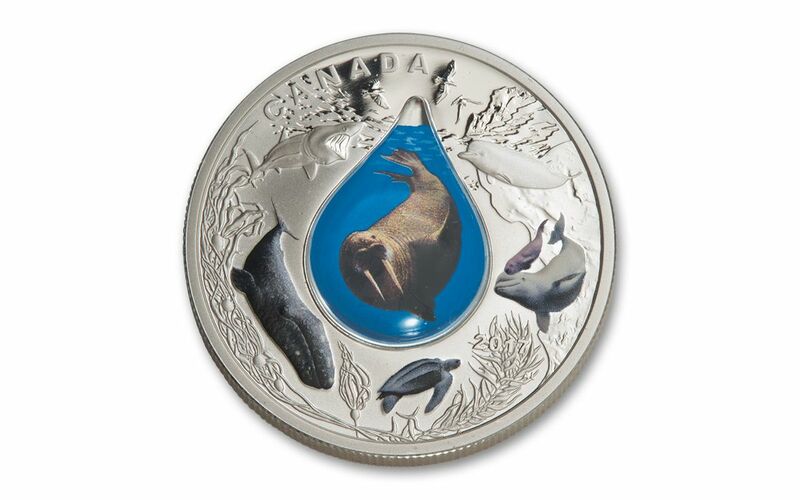 The reverse also features selectively colored aquatic life native to Canada -- a northern bottlenose whale, beluga whales, a leatherback sea turtle, a grey whale and a basking shark. 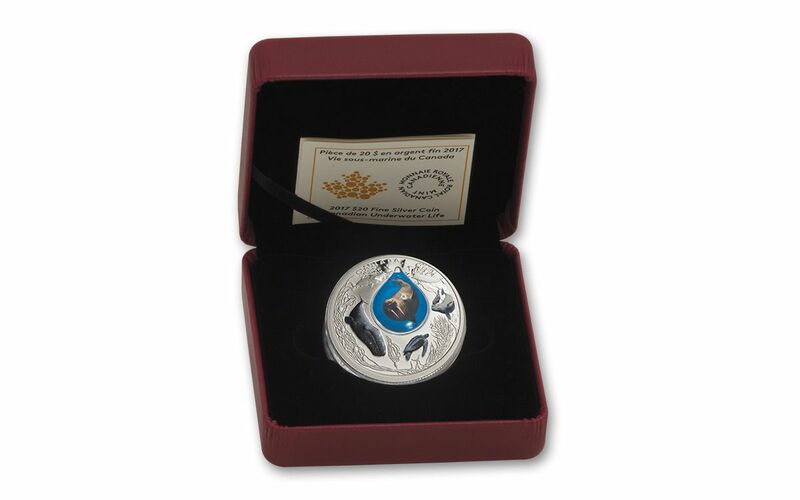 Struck in a full ounce of 99.99% pure silver, it's an incredible addition to any collection, and an impressive piece all on its own!